Australian wellness company ​PuraHealth today opens up shares in its wellness brand that has attracted global attention, kicking off its first Equity Crowdfunding campaign on leading platform Equitise. The Australian owned health brand and leading supplements provider intends to raise $600,000 at $1 per share and will for the first time allow everyday Australians to invest in its fast growing, transparent business. Founded by the well known model Georgia Nissen the original Redheads matchbox face,​PuraHealth has cemented itself as a prominent place in the wellness sector, pairing elegant design with a focus on purity and efficacy. Georgia Nissen from Purahealth says she is proud to be bringing complete transparency to the supplements market and offering a unique point of difference. “For us, equity crowdfunding is the perfect platform to spread the word and get the ever-more knowledgeable and health-conscious community of advocates to join us on this journey. 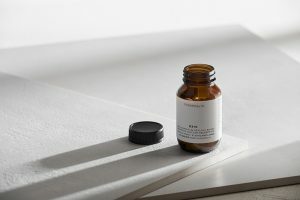 By sharing our vision for full disclosure, maximum efficacy and 100% natural ingredients, we hope to raise not only awareness, but also the capital required to accelerate our product development, marketing initiatives and fully transparent labelling. Together, we can diversify sustainably, delivering the safest, purest and most honest dietary supplement choices long into the future,” says Nissen. The current ​PuraHealth range provides support in the vital areas of cardiovascular, and digestive health and includes: COQ10 150mg, RRP $39 AUD for cardiovascular health and to support the production of energy; and Organic Turmeric with Ginger & Black Pepper, RRP $39 AUD – for general wellbeing, to help support healthy liver function and aid digestion.